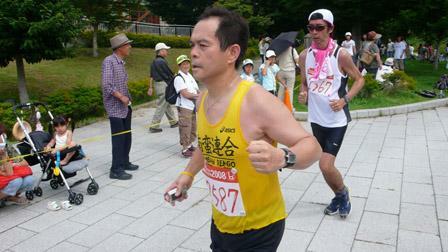 Quirky Half-Marathon in the Quaint Town of Obuse. Known as the Obuse Mi-ni Marathon ("mi-ni" also means "Come See" in Japanese), this flamboyant road race through the back roads and byways of the chestnut village, Obuse, is a lighthearted even put on by the townspeople for the enjoyment of the participants and visitors. 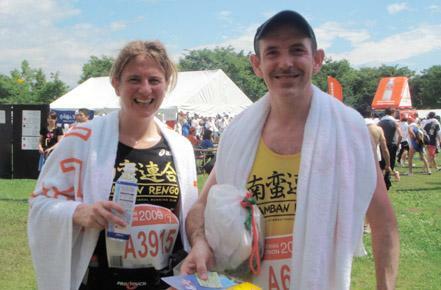 More of a fun-run to enjoy this enchanting town than a serious road race, the Obuse Half-Marathon is popular event that the town of Obuse puts on every July. It seems like the whole town, young and old, come out to cheer on the 8,000-or so runners, many of whom dress up in whimsical costumes. Obuse has some major tourist attractions such as the Hokusai Museum and chestnut sweet shops, but the Half-Marathon is a chance to see some of the lesser known areas of the town. Event takes place in July. Confirm actual date with the official website. 2017 date is July 16th. Confirm with the official website. Registration required to participate. Baggage storage available but now valuables. From Obuse Station(Nagano Dentetsu Nagano Line), the race starts.